Could you betray your country? Not only turn your back on your friends, family and everything you have ever known but actively seek to destroy it? 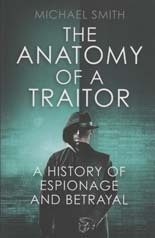 The Anatomy of a Traitor focuses on the critical moment in a spy's life when they decide to embrace a double life and risk their lives without any guarantee of ever being rewarded or even recognised. Using his own insider knowledge supplemented by exclusive interviews with a wide range of professional spies and spy runners from different agencies around the world, Michael Smith uncovers several dozen exciting new spy stories and throws fresh light on others that are already known such as the KGB's Cambridge Spies, Sidney Reilly and Aldrich Ames. The more than fifty fascinating explanations of why spies spy run from Delilah to Donald Trump. They range from the seductive charms of some of the female spies during the US Civil War through the spies who produced the best intelligence during the two world wars, some of the greatest untold stories of the Cold War and right up to the present day including damning new evidence on the claims of Russian backing for US President Donald Trump. The natural follow-up to The Spying Game was Six: The Real James Bonds a history of MI6 from its creation in 1909 to the start of the Second World War in 1939. MI6 had commissioned its own official history. Written by the late Keith Jeffrey, it is an excellent book based on the Service’s secret archives still held under lock and key at its green and cream Vauxhall Cross headquarters. But it made clear the limits on how much material was still held in those secret archives compared to the material held in open UK, US, Scandinavian and Russian archives. 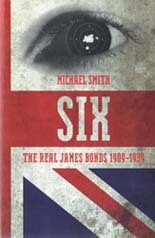 Six: The Real James Bonds was based on secret MI6 documents held in all of those archives plus the private papers of a number of former MI6 officers, some of which were astonishingly revealing. There is one other good source of material on the history of British intelligence – books written by former spies themselves, and not just their memoirs. 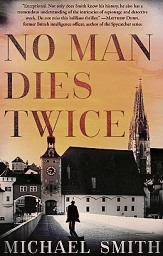 A number of former MI6 officers – Somerset Maugham, Graham Greene and John le Carré to name just a few – have written novels that while fiction give an authentic feel of real intelligence work, indeed Maugham’s Ashenden stories are barely disguised accounts of his own genuine exploits as a British secret service officer operating in Switzerland and Russia during the First World War. I selected a range of forty different passages from books written by former intelligence officers to give a rounded view of how our spies operate and published it as The Secret Agent’s Bedside Reader. Intelligence officers have to be able to tell a very good story, whether it is in an intelligence report or in the ‘legend’ they adopt for an undercover operation. It is not for nothing that this is known as the cover story and the measure of how good it has to be is that for the author it may well mean the difference between life and death. So it is hardly surprising that, over the years, authors and journalists have made good intelligence officers, and a relatively large number of intelligence officers have gone on to become successful writers. 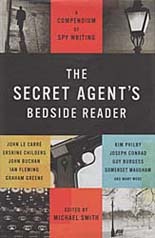 The Secret Agent’s Bedside Reader is a selection of some of their very best work. There are extracts from the fiction of Maugham, Greene and many others; Le Carré’s first extensive description of his eponymous hero George Smiley. Nor is everything contained in the book fiction. There are extracts from memoirs from former top spies like legendary Ace if Spies Sidney Reilly, Robert Baden-Powell, founder of the Scout Movement, and author Compton Mackenzie plus real intelligence reports and memos written by Ian Fleming, Guy Burgess, Kim Philby, and other top secret agents. Amazing stuff! 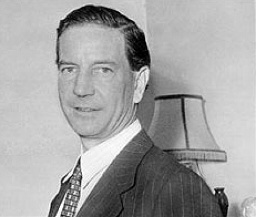 Kim Philby, the so-called Third Man in the Cambridge Spy Ring. The Secret Agent’s Bedside Reader includes one of his most important reports to Moscow.